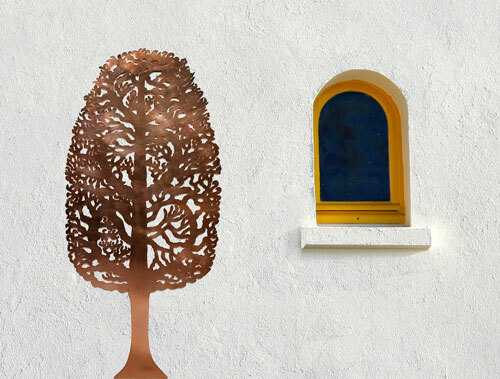 The copper fundraising trees can be supplied without fixtures for the leaves and make great silhouette wall sculptures. These are just a couple of examples, but please contact us if you would like a price for anything else you see. The tree designs are used as fundraising trees, to great effect, but they are works of art too and beautiful stand-alone sculptures. These stunning wall sculptures are suitable for use indoors or out. 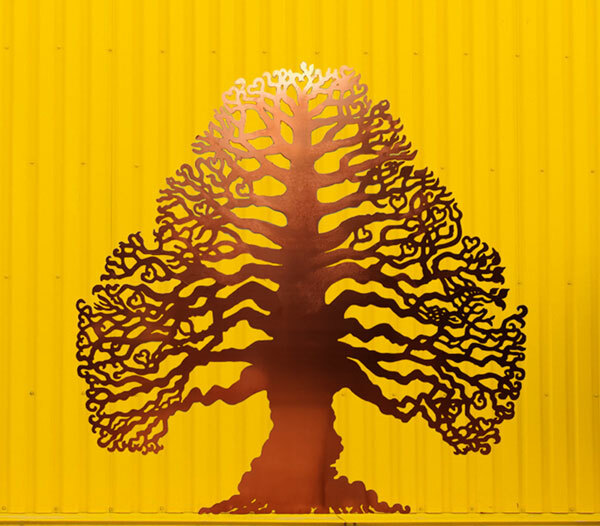 The trees create a fantastic silhouette and great wall feature. Standing 6 feet 5 inches, the Hope Tree is a statuesque piece. Made from pure copper, it can be displayed inside or out and be perfectly at home.